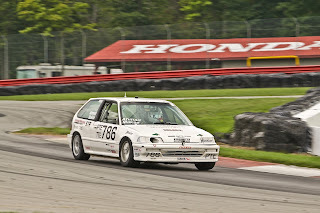 In December 2010, Honda Performance Development announced its intention to work with other manufacturers to create a new segment of race cars called B-Spec, which would target the sub-compact market. B-Spec refers to all cars meeting a common set of rules , which can be adopted by any race circuit or sanctioning organization. Several sanctioning bodies have adopted B-Spec rules for classes from Club to Pro racing. Designed to be an entry-level category, B-Spec cars feature showroom stock racing cars utilizing stock engines and chassis, fitted with competition roll cages, racing seats and other safety equipment; and manufacturer-approved suspension components, tires and wheels. For 2012, Honda Performance Development is offering the HPD/B-Spec kits, which include a coil-over kit, front and rear race springs, camber bolts, cat-back exhaust system, brake line set (braided stainless), front brake-pad set, air filter and air-conditioning delete belt. Honda Performance Development (HPD) is the Honda racing company within North America. Founded in 1993 and located in Santa Clarita, Calif., HPD is the technical operations center for high-performance Honda racing cars and engines. HPD served as single engine supplier to the IZOD IndyCar Series from 2006-2011 and spearheaded championship-winning efforts in the 2009-2010 American Le Mans Series, 2010 Le Mans Series and the 2010 24 Hours of Le Mans. HPD offers a line of race engines for track applications from IndyCar and prototype sports cars to karting; for professional, amateur, and entry-level efforts. For more information, please contact HPD at (661)702-7777. 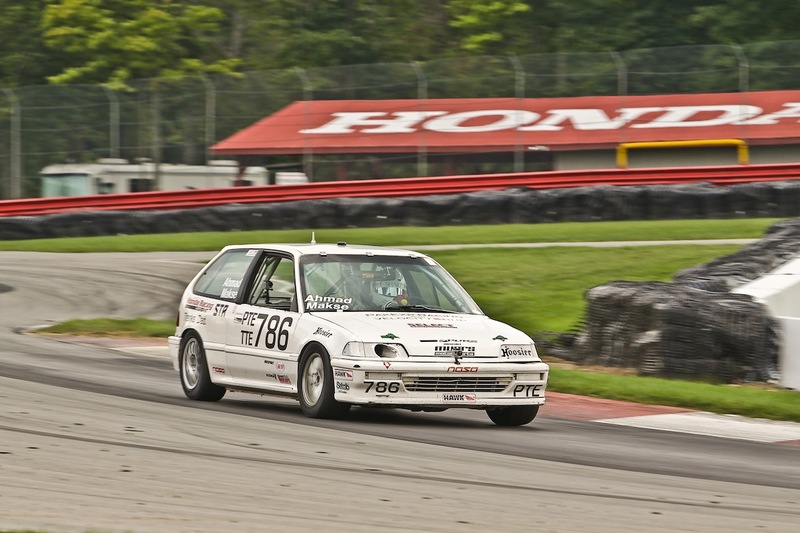 I’m Brian Makse, and I race a Honda Civic in the National Auto Sport Association’s (N.A.S.A.) Performance Touring E class. 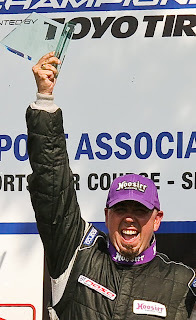 I recently won my first national championship at N.A.S.A.’s National Championships, held at the Mid-Ohio Sports Car Course. That was the culmination of four years of lots of hard work by me and many others. It’s impossible to recognize everyone, but I have to mention our crew chief, Sam Myers of Myers Motorsports, who looks after everything. He makes sure the cars are ready to race when they roll off the trailer. His prep work allowed us to go into the championships with the confidence to perform at the highest level. The “us” I refer to is me and my friend Faisal Ahmad. We’ve been racing together since 2008 – the latest venture in two decades of on-and-off racing for me – when we bought a used Civic racecar. It took most of that first season to sort it out, but we finally got it sorted by that year’s national championships and won the qualifying race. Then, during a wet race, Faisal, who had been particularly strong in the wet, crashed the car heavily. I took it to a body shop in Columbus that had a frame rack and they straightened it out. I think the car was better after that! If I remember correctly, we qualified fourth or fifth for the championship race and got as far as third, but cut a tire and ended up finishing fourth. We bought a clean chassis and built a brand new racecar for the 2009 season, and that’s the car that I won the national championship in this year. We chose the Civic, specifically the 1988-’91 generation, very deliberately. It has those three key things that are otherwise unattainable together. It’s fast, it’s reliable, and it’s relatively inexpensive to operate. In the context of our class, Performance Touring, we were able to configure the car to really take advantage of the platform – which is legendary because it has double wishbone suspension at all four corners, a bit of a rarity. It’s also light and, including the driver, weighs just under 2300lbs. Performance Touring is a points-based class. Every modification is categorized and assigned a point value, and a car is allowed a certain number of points. We maximize ours, and use every single point available to us. We’ve done some head work to the engine and we use a different intake, header, and camshaft. We use different springs, Koni shocks, change the sway bars, and run Hoosier tires. There’s really no magic, just a lot of testing and development. We compete against a diverse set of cars, and that’s one of the things I like about PTE. We tend to run against cars like Sentra’s, and we have a strong competitor from Mid-Atlantic in a Ford Probe. There’s also a strong contingent of Miata’s, so we’ve got this little 1.6-litre, front-wheel drive car that competes against – and beats - these rear-wheel-drive two seaters. I’m based in Canada, so there are some aspects of the Honda Racing Line program of which I’m not able to take advantage. Still, we’re able to get parts that otherwise would not be in stock anywhere else, and get things we need that are on the shelf at HPD in California, rather than having to wait weeks otherwise. And while we have contingency options from other brake manufacturers, we use Cobalt Friction because they’re the best pads we’ve tested, but we’re also able to get them direct from Honda. An order from Cobalt could take up to three weeks. We’re in the process of refreshing both of our Civics for next year – new bodywork and new paint among other things – but I also hope that 2012 presents some other opportunities for me. I’d love to move up to the Canadian Touring Car Championship or SCCA Pro Racing World Challenge. I don’t want to give up racing in N.A.S.A. PTE either – it’s too much fun! 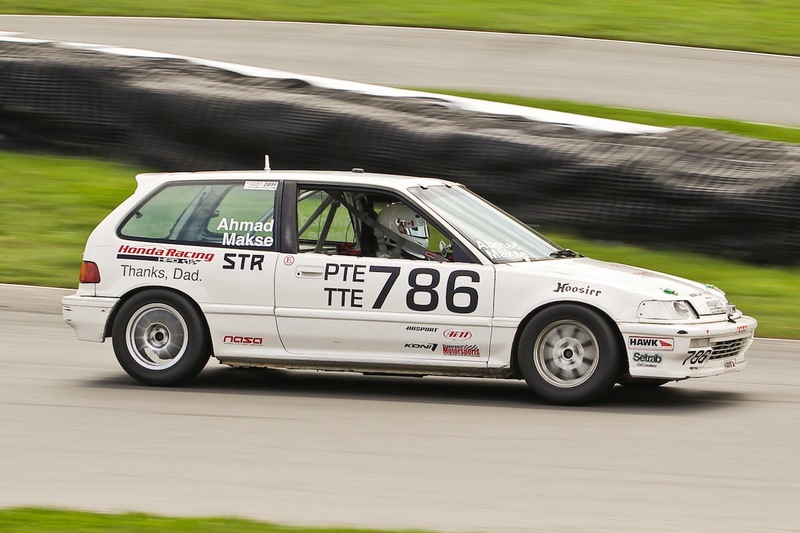 Look for Brian Makse and Faisal Ahmad in their PTE Civics next year at N.A.S.A. Great Lakes Region events. They’ll be gunning for a repeat of their National Championship. And if you’re a racer in a Honda or with Honda Power, don’t forget to register for the Honda Racing Line program at http://www.hondaracingline.com/. Honda Racing Line is proud to offer original equipment replacement parts, performance parts, and crate engines to Honda and Acura grassroots racers in the entry-level through professional ranks.